The northern portion and much of the eastern coastline of the island of Cozumel, in the Mexican state of Quintana Roo, has been declared a Protected Natural Area, through a decree from the Secretariat of Environment and Natural Resources. 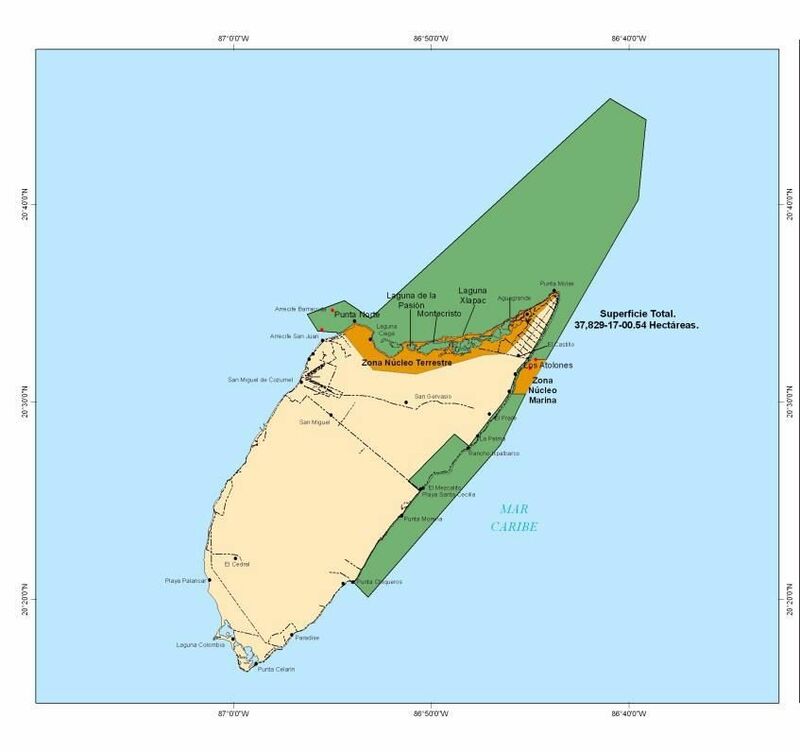 The Environment Department says about 146 square miles (378 square kilometers) of the island and coastal waters will be protected under the measure. The area designated Wednesday constitutes the shores and offshore shelf on the northern half of the island. The area is mostly unpopulated and well away from Cozumel's town, marinas and cruise ship dock. This new protected nature area, will be a haven for regional animal and bird life. Two species in particular have native ranges only on the island: the Cozumel spiny lizard and the critically endangered Cozumel racoon, which is a dwarf raccoon. This piece of land with a total area of 37,829 hectares, has become a part of protection initiatives developed during the administration of President Felipe Calderon, according to a statement released by Government official, Secretary of Environment and Natural Resources, Juan Rafael Elvira Quesada. Quesada stated that with this new declaration the Government is meeting its conservation commitment. He also stressed the importance of monitoring the care of these protected areas and their resources through management programs. Mexico already has 175 federal protected natural areas covering a area of 25,372,182 hectares.